Forget Your Politics, and Enjoy this Fun Ride! If you like funny, breezy mysteries with terrific characters, this book is for you. 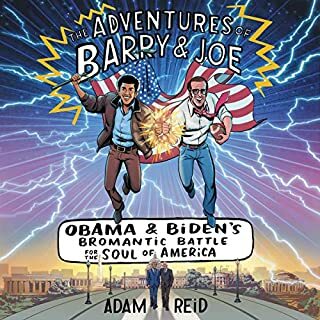 I am so glad I listened to the Audible version of this because while the book itself is whimsical, listening to Joe Barrett's Biden impersonation as narrator, or the way he cleverly matches Obama's speech cadence is an absolutely hoot. If you can't check your politics at the door, your milage may vary, but truthfully, it isn't super partisan. This is a fun book! Ray Porter does his normal marvelous job as narrator. I really wish his performances of Chandler's original novels were available via Audible here in the U.S. As for the book itself, if you want to listen as a 70 plus year old Marlowe muses that the world has passed him by, this is your book. 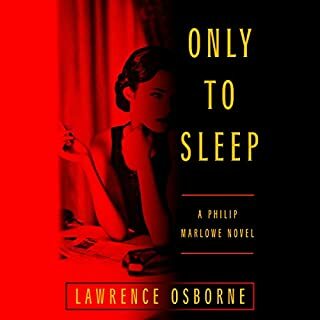 Osborne falls in love with the sound of his own authorial voice on the page and gives us a plot that goes nowhere and a narrative that comes across as ponderous even at a brisk 250 pages. Marlowe repeatedly talks about how pointless his investigation is and how he should just give up and go home. I won't spoil it except to say that you'll wish you did to. There are a few flashes of Marlowe being Marlowe and a clever literary reference here and there which earn this 2 stars instead of one. 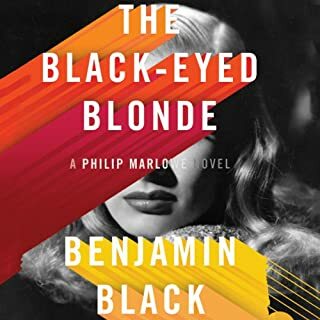 This one makes the other recent Marlowe novel THE BLACK-EYED BLONDE look like an instant classic. Wow, what a waste. Raymond Chandler's incomparable private eye is back, pulled by a seductive young heiress into the most difficult and dangerous case of his career. "It was one of those summer Tuesday afternoons when you begin to wonder if the earth has stopped revolving. The telephone on my desk had the look of something that knows it's being watched. Traffic trickled by in the street below, and there were a few pedestrians, too, men in hats going nowhere." Dennis Boutsikaris performs Marlowe's first person narrative well. For a good part of the book, I felt I was spending time with an old friend. To be clear, the author does not write like Raymond Chandler, but Marlowe behaves about as you'd expect. The problem with the book is that there is a lot of buildup for a climax that doesn't work. Longtime fans familiar with characters from other Chandler novels are likely to be bothered by it as well, but I won't spoil the ending. This is a book that was pleasant, until it wasn't. The problem is, it could have been so much more! This is the second book is this fun new series. 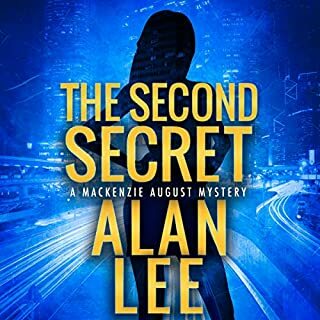 MacKenzie is a little bit like Spenser, a little bit like Chuck Norris, and and an all around good guy trying to live a life of honor. This book, like the first is full of witty one liners and MacKenzie is a character you will root for. Plus, some of the secondary characters Mackenzie deals with are both shady and goofy enough to be part of a Carl Hiaasen book. This time, Mackenzie takes a job in part because of his feelings for Ronnie Summers, a woman he is clearly in love with, but who just may be more screwed up than a seven layer burrito from Taco Bell. She's an accomplished, bright professional with a complicated personal life and parental issues. Scott Ellis does a superb job with the narration. My fingers are crossed that Audible will give us the other books in the series and that Mr. Ellis will return to read them. Now is the fall of his discontent, as Jason Fitger, newly appointed chair of the English Department of Payne University, takes arms against a sea of troubles, personal and institutional. His ex-wife is sleeping with the dean who must approve whatever modest initiatives he undertakes. The fearsome department secretary Fran clearly runs the show (when not taking in rescue parrots and dogs) and holds plenty of secrets she's not sharing. The lavishly funded Econ Department keeps siphoning off English's meager resources and has taken aim at its remaining office space. 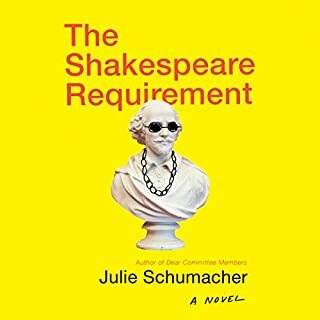 Julie Schumacher has done it again. In this followup to her novel Dear Committee, Ms. Schumacher once again sets her sights on skewering the academic world. God, this is a funny book. I've been teaching at the University level in one capacity or another for 20 years now, and this one is so true it hurts! Satire does not get better or funnier than this. I sincerely hope we get more of Jay Fitger and his colleagues at Payne University. I can honestly say that I did not want this book to end. My only complaint is that the book might have been better served with a professional narrator rather than the author, but the book itself is comic gold if you know the academy. For 80 years, fans of radio mystery have thrilled to the mocking tones of The Shadow's sinister laughter and to the daring adventures of radio's greatest crime-fighter. 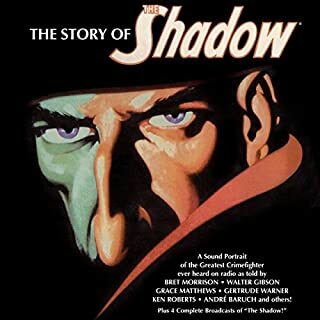 In this sound portrait of The Shadow, produced by David Goldin, his mysterious origins are recalled in recorded interviews by Walter Gibson, who created Lamont Cranston and wrote 283 Shadow novels, and by Ken Roberts, the announcer who introduced The Shadow broadcasts for more than a decade. This fantastic collection features a lovely history of The Shadow radio program featuring interviews with several of the actors and creators involved plus OTR and pulp historian Anthony Tollin. It also has a few terrific episodes of the old melodrama. This is great stuff, really. 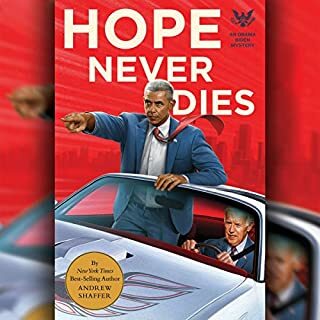 At the time of this review, Audible's price on this is a bargain. If you like OTR, grab this one, now! Feel the bite of the Spider! You have to know what you are getting here. The Spider is pure pulp violent melodrama, but it is fun! Nick Santa Maria is terrific! There are also 2 additional short stories. 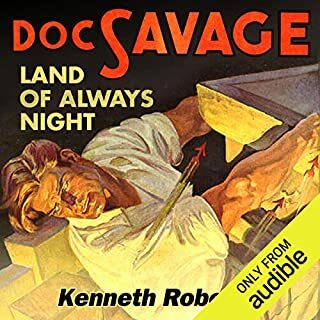 This is another in the all too brief line of Doc Savage performances that Audible studios did. The Land of Always Night is a classic pulp adventure featuring Doc Savage and his men. 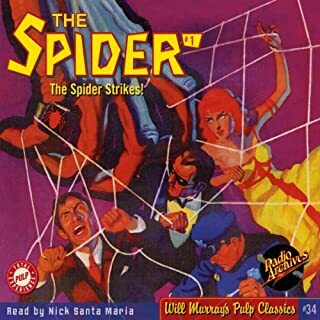 Well performed, this audiobook combines modern production values with the feel of old time radio for a terrific combination. I really wish Audible would consider doing more of these and those of The Shadow by Walter Gibson writing as Maxwell Grant. This should be the big thriller of the summer. Heck, it should be the thriller of the year. This is easily the best book I've read from Patterson in years. Plus, it is full of details that I'm guessing the former President provided. Unlike many contemporary thrillers, this one feels plausible and all too real. I'd also like to say, I thought Dennis Quaid's performance as the President was terrific. I've seen several people complaining about it and I don't get the hate. One of his female voices was a bit weak, but that's a small price to pay for how good it sounds otherwise. 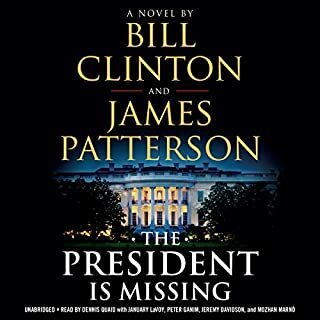 Honestly, I realize Clinton and Patterson probably won't write another, but I'd listen to a sequel right now. This would also be a fantastic film. No matter your personal political convictions, this is a terrific thriller. Well done, gentlemen.